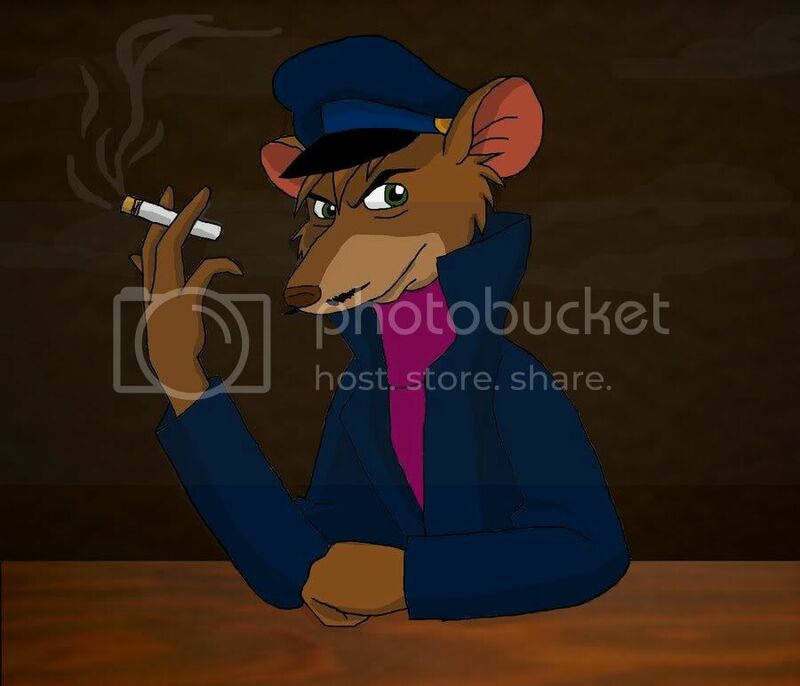 Here's Basil of Baker Street in his famous sailor disguise from the movie The Great Mouse Detective. I had a hard time coming up with a background for this. But I used a picture of something with a wood grain to try to make the table. And I tried to make the room behind him look kinda smokey, since I guess he's undercover in a bar. And the smoke from his cigarette was hard too. And I actually tried to use some shadows this time. But I'm very pleased with how this turned out! So hope you enjoy!